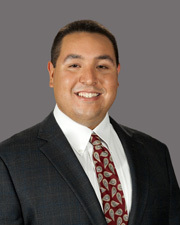 Peter is a graduate of St. Mary’s College, Moraga, with a Bachelor’s of Science Degree in Accounting. He has over five years of governmental audit experience all with Maze & Associates. Peter’s experience includes cities, special districts and not-for-profit clients. He has performed CAFR reviews for GFOA. Peter has received 400 hours of continuing education since joining our firm. His relevant experience includes preparing the Annual Report of Financial Transactions for over 78+ of our municipal clients. Peter currently supervises accounting services for many entities. He is experienced in tax related matters. He is an Enrolled Agent with the U.S. Department of Treasury and reviews over 100 form 990 tax returns for our non-for-profit clients.